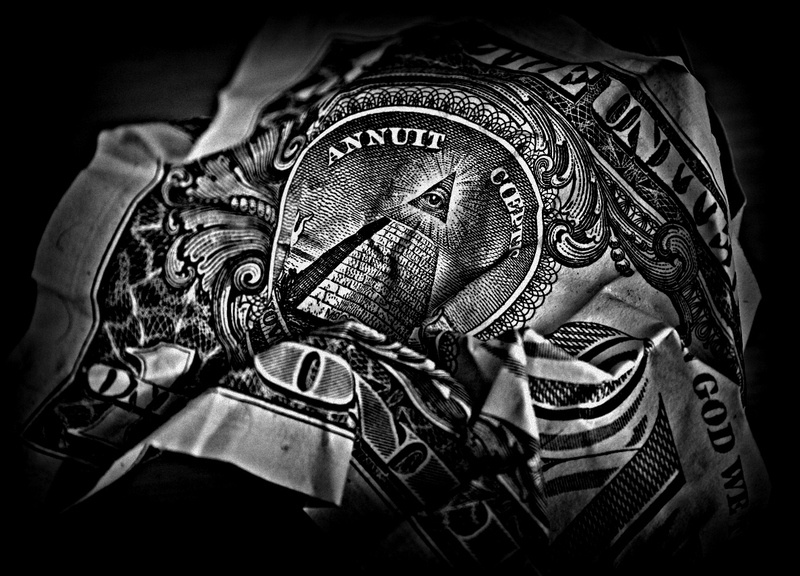 A close up of the One Dollar bill, featuring the “Eye of Providence”. The Eye of God or Freemason symbol or something else sinister? I don’t know and I’ll let you research it. One dollar will get you a BK jr burger though…..
Whoa. This is awesome! I’m speechless. Really fantastic, a new way of actually seeing something that you see daily. Looks like you are fulfilling your stated ambition for this project! Thanks for that appreciate it.